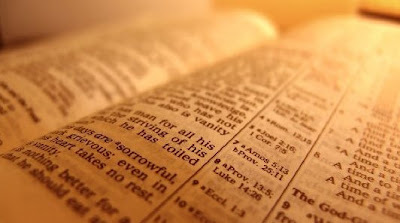 Read the Bible in 90 Days: Week 4 - I am right on schedule for today's reading. Starting in Genesis and ending in Revelation, we will begin 2 Samuel tomorrow. It takes about a hour of reading each day to stay on schedule. I take my Bible everywhere with me and use spare moments to read a little more. I even take a break from email or Facebook to read a chapter or two online. It feels like I better see the plan of God as he moves through history. I more clearly see how He is working over hundreds of years -- and how patient and forgiving He is. I am struggling with the abhorrent violence in the OT. Not sure what to do with this right now. It definitely deserves more meditation and prayer. I can see why people de-mythologize the OT in light of the NT. Reading straight through Judges into the life of Samuel and David has given me a different perspective of the chaos in Israel, how little unity there was, and how the introduction of a king forever changed Israel. I am still excited about this challenge, but as the initial momentum begins to wear off, it is taking a little more discipline and creativity to stay on schedule. I'm almost a quarter of the way through the Bible, with only 69 days to go. We've had some really similar thoughts about this week's reading. The violence and brutality are really tough to swallow sometimes. And I commented in my update post on the chaos and disunity in Israel during the times of the Judges too...I'd never seen that picture so clearly until I read straight through like this. I, too, agree that I love reading it this way to fully understand God's plan! Good for you for staying on track!